In this sense, Derrida’s analysis will analyse the dynamics by which the sovereign will enact a judicial decree in a sphere or spectacle of visibility. These analyses bear resemblance to Foucault’s Discipline and Punish as well as his later work on the shift from pre-modern sovereignty necessitating a form of visibility in order to be enacted to be seen by the sovereign themselves as well as the governed. This shift from a democratic modernity to a neoliberal regime of invisible power and marketization is where Foucault and Derrida meet here. As Derrida remarks: “The state must and wants to see die the condemned one”. [iv] Derrida then shifts like Foucault to analysing Plato’s texts such as the Apology to analyse what shape sovereignty takes, and what form of judicial decree is made against Socrates and the eventual decisionism which results in Socrates’ death. These analyses of the earlier Greek demonstrations of sovereignty will provide an allegory for Derrida’s deconstruction of the United States and their stance on death penalty and the globalized state of exception they declared within Derrida’s time. The next aspect which Derrida analyses is the paradox of the abolition or the maintaining of the death penalty in ‘democratic modernity’ which he refers to as the present political situation globally. Derrida sees this paradox operating between the right to kill in war of a nation state and as a democratic state, and the maintaining of the death penalty which almost acts like a kind of state of exception. The paradox or contradiction between maintaining a supposedly democratic state in Ancient Athens and the United States whilst permitting the murder of foreigns and its own citizens under certain exceptions to the rule is where Derrida reveals this conceptual impasse and insightful paralell to the democratic modernity we inhabit. Perhaps one question Derrida raises here, is how we can better construct a more democratic ‘democracy to come’ in Derrida’s messianism without this exception to the rule, however to what extent democracies can exist without exceptions to rules is perhaps not a possibility. Just like in Foucault, Derrida wishes to understand how the ancient origins of the death penalty in his analysis of Socrates’s trial then grounds and organises the rationality behind the democratic modernity which permits death penalty still in particular nation-states. Derrida’s commentary follows a historical account from the Apology onwards towards the onset of the Enlightenment, most explicit in the work of Kant who for Derrida explicates a rationality of justifying the death penalty as a law of man as opposed to beasts who commit crimes and resorts to a brutal, ‘natural life’. 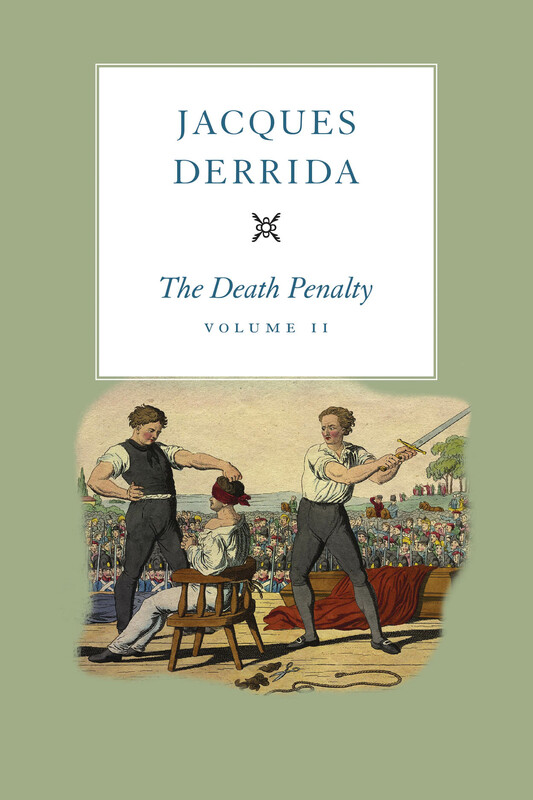 Derrida moves onto the onto-theological dimension of the death penalty and its relation to the sovereign, through the concept of the exception. The primary thinker Derrida is referencing here is Carl Schmitt and the state of exception which foregoes the possibility of suspending the rule of law to save the ultimate state of law. This parallel is synonymous with Derrida’s reading of Kant discussed before in which Kant sees the death penalty as a means of sustaining the rationality of human beings by providing death in a rational, ordered logic without returning to natural or bestial savagery. For Derrida, the exception represents a form of messianic moment that is invisible and unpredictable. The law as well as the exception following Benjamin and the onto-theological view of the founding of sovereignty and violence are a momentality which is heterogeneous to itself and unforeseeable. Derrida deconstructs using questions about the essence of an exception and to what extent there is an exception of exceptionality, if there is a rule to the exception, how can we then distinguish between the exception and a non-exception? Derrida argues that the common intuition is that the exception is an exception to the rule, so it appears with the Schmittian dynamic of the state of exception, and furthermore developed in Agamben’s homo sacer, that the state of exception is itself a contradiction, which in its essence actually permits its existentiality, insomuch as a momentality is only a momentality distinguished from eternity as a diffraction within eternity itself and not without. Similarly, this paradox of the exception also resembles the contradiction of our democratic modernity and the impenitence of the death penalty within it, and to what extent can we work to undo these types of logic, as no exception to the rule, Derrida merely gestures but remains silent. As a bridge from the exception, Derrida then wishes to push into a Wittgensteinian sphere of the problem of the inexpressibility of pain as a form of leap of faith, such that suffering from cruelty is also a form of exception itself. Thus, the death penalty is the exception to the utmost of cruelties in Derrida’s argument. Like Foucault’s shift from the ancient conceptions of the death penalty, Derrida also wishes to emphasize the relevance of these metaphysical debates on the present of communication technologies and the present struggles of abolition. This movement from the Ancients to our technologized present is already at work in Heidegger and through Foucault’s later work, in the ways that technologies are sustaining catastrophic logics of exception. Derrida then links these questions of the exception, cruelty and the death penalty to how technologies inform and disseminate these modes of sovereignty. Additionally, Derrida argues for the abolition of the death penalty in analysing the economy of the death penalty, particularly in regards to the economics behind the penal system in the United states. In Volume II he elaborates and goes over previously established material but extends his analysis to the question of pain and concludes on the concept of blood in order to draw conclusions on his analysis of the death penalty to allegorize an abolitionism against seeing the red sight of blood. In conclusion, we can read the two volumes as a death penalty for Derrida as assigned by Derrida himself. The two volumes should be understood within the context of Derrida’s later political phase as an investigation into the history of the death of penalty to critique the contemporary discourses of death penalty in the United States and worldwide. Furthermore, Derrida uses the concept of the death penalty in order to explore the state of exception, cruelty and sovereignty that the United States also has subsumed over the globalized world since its ascension to a superpower post World War Two. The impossibility of the Other to understand the pain of another is another way of Derrida attempting to voice the pain and injustice of the death penalty. The relation between the concept and blood is for Derrida in understanding how the blood of the death penalty can be conceived in order to advocate its abolitionism. Derrida in this sense, hopes to never see the red of blood return, only to disappear, but regrettably Derrida disappeared only three years after the last seminar only to return as a spectre of thought to haunt the history of philosophy, hopefully eternally, ever to return as a name that changed thought or how thinking thinks. [i] Derrida Jacques (trans. Peggy Kamuf) (eds.) (Geoffrey Bennington, Marc Crepon, Thomas Dutoit), The Death Penalty, Volume I, The University of Chicago Press (Chicago, 2014), p. xiv. [iii] Ibid., First Session, December 8, 1999, p.1. [ix] Ibid., First Session, December 8th, 1999, p. 30. [x] Ibid., Second Session, December 15th, 1999, p. 69. [xi] Ibid., Third Session, January 12th, 2000, p. 69. [xii] Ibid., Fourth Session, January 19th, 2000, Right to Life, Right to Death, p. 69. [xiii] Ibid., Volume II, Second Session, December 13th, 2000, p. 29. [xiv] Ibid., Volume II, Ninth Session, March 21st, 2001, p. 214. John Sallis’ edited text Plato’s Statesman; Dialectic, Myth and Politics is a collection of essays on Plato’s Statesman (Politicus). The dialogue is part of a trilogy that includes Theatetus, Sophist and Statesman, which, together seek to define three key figures; the sophist, the statesman, and the philosopher. Theatetus is concerned with understanding the nature of knowledge, the Sophist seeks to identify traits of the sophist (as distinct from the philosopher) and the Statesman seeks to define the statesman. Though the dialogues do not explicitly address the nature of the philosopher, by eliminating the characteristics ascribed to the other figures we may grasp some of the traits and features a philosopher should possess. One must note the proximity of the conversation in the Statesman to the trial and execution of Socrates as the threat of his impending absence permeates the text and is reinforced by his withdrawal from the discussion. In Theatetus the train of events leading to Socrates death has already been set in motion so that when the conversation of the Statesman takes place it has already been decided that he will go to trial. The dialogue alludes to the coming events, and towards the end the Stranger launches into an assault on the democratic regime (see 299c). The essays in this collection approach the Statesman as a ‘strange mixture’ of mathematics, politics, ontology, dialectic and myth (1). The Introduction is written by John Sallis who maintains that in order to enable the manifest force of this dialogue to come to light, one must enter into it as another voice in the conversation. John Sallis is Frederick J. Adelman Professor of Philosophy at Boston College. He is well known for his work on phenomenology and is the founding editor of the journal Research in Phenomenology. He is the author of more than 20 books which address major philosophical themes such as the legacy of Platonic thought, art, the imagination, chorology and the elemental in nature. His works include Crossings: Nietzsche and the Space of Tragedy (1991), Chorology: On Beginning in Plato’s “Timaeus” (1999), Platonic Legacies (2004), The Verge of Philosophy (2007) and more recently The Return of Nature (2016) and The Figure of Nature (2016). The essays in this collection address the Statesman as a work in which several disparate themes are addressed but never properly conjoined. Notable themes include: absence and withdrawal, the role of law, myth, comedy, politics, and the method proper to practicing philosophy. The theme of absence and withdrawal is always present in Plato’s dialogues as the author himself remains withdrawn; speaking through characters and figures such as Socrates. In the Statesman this theme is developed by removing Socrates as a dramatic figure and concentrating on the presence of the Stranger (who remains unnamed). Despite Socrates absence from the conversation, there is a strange doubling of him in respect to Theatetus (who looks like him) and Young Socrates (who shares his name). Socrates is therefore present despite his absence and the Stranger remains somewhat absent despite his recurring presence. Other themes such as the role of law (in its written and spoken forms) and the complex function of paradigm are significant in relation to the explicit task of the dialogue – to define the nature of a good, worthy statesman—and are given gravitas in light of Socrates’ impending trial. Likewise, the question concerning the method through which philosophy should be conducted gains significance, in light of the impending threat posed by Socrates’ trial—a theme observed by many essays in the collection. The divisive bifurcation used by the Stranger contrasts with Socrates’ dialectical style and other questions are treated concerning: Where to begin? How to proceed? What is the role of analogy and examples? What is the effect of Plato’s use of figures, characters and dialogue? The Stranger’s method fails to yield insight into the nature of the statesman and so he turns to myth; setting out the myth of two ages. Treatment of this myth is also taken up by a number of essays in the collection which seek to extract meaning and demonstrate its philosophical significance. Various themes combine to influence how one understands the role, function and qualities of a worthy statesman, and by comparison the sophist and the philosopher. In the Introduction Sallis notes that one should be wary of projecting concepts from Aristotle into the Statesman; he claims that the essays in this collection aim to make manifest the key themes outlined earlier (amongst others) by taking contextual and discursive forms of the dialogue into account. All of the essays seek to enter into the Statesman with attentiveness, reticence, and discretion, and all share in the desire for dramatic content and unique features to be addressed. However, each essay embarks upon a different path in respect to how to interpret Plato’s objectives, trace the primary aims of the text, uncover the rationale behind certain inclusions (and omissions), and, of course, understand Plato’s treatment of the philosopher. 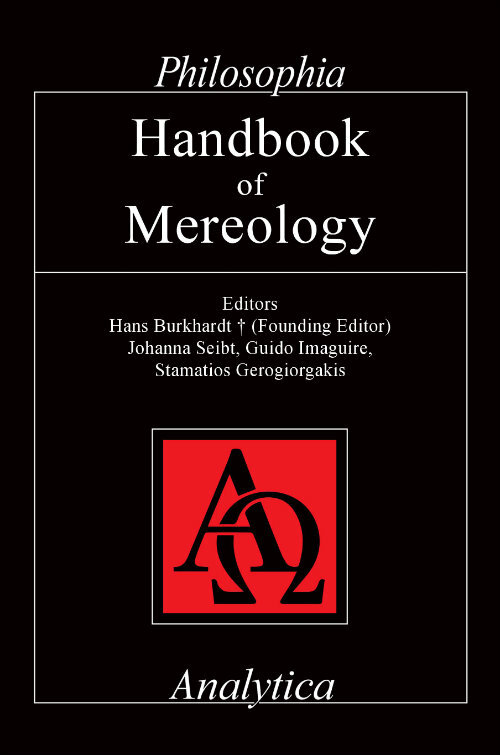 The essays attribute different degrees of significance to the key themes highlighted and present varied interpretations in relation to Plato’s methodological decisions. Sallis describes how the collection of essays is intended to ‘enter into the Statesman in a way that opens from the dialogue itself’ (2). Essays such as ‘From Spontaneity to Automaticity…’ by Michael Naas address key sections of the text, whereas others e.g. ‘Where have all the Shepherd’s gone…’ by S. Montgomery Ewen focus on a particular theme. Essays such as ‘Reconsidering the Relations between the Statesman, the Philosopher and the Sophist’ by Noburu Notomi work to contextualise the Statesman by addressing it alongside the other dialogues to trace how the figures being addressed develop and are present throughout the trilogy. Those such as ‘The Art of the Example…’ by James Risser focus on the Statesman itself in order to analyse the theme addressed as it arises from and is present within this dialogue specifically. Most texts on the Statesman analyze the work holistically or focus on a specific theme in the wider works of Plato. However, this collection sets itself apart by being beneficial through the different insights it provides regarding a variety of themes. 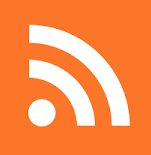 This enables the reader to gain multiple perspectives into the disparate themes contained within the Statesman as whole. It demonstrates the complex multidirectional possibilities for interpreting the features of the topics treated and draws attention to curious aspects of Plato’s method. While the themes addressed are sufficiently treated in other works for the reader to grasp their importance, few texts on the Statesman offer insights as varied and dynamic as this one. The book contains an extensive bibliography which details different translations of the Statesman (in Greek and in English) and it purports relevant primary and secondary texts. The bibliography by itself is useful to Plato scholars interested in contextualising the Statesman or in learning more about how the key themes outlined (and others) are addressed in the Statesman itself and in Plato’s wider works. The structure of the text involves a loose grouping of the essays according to theme, it is therefore difficult to assess a clearly defined structure in relation to how they are organised. As a result, the reader must leap between disparate themes and interpretations as the collection does not progress sequentially and it is not easy to synthesize events as they unfold within the dialogue or to develop a structured treatment of each theme. As the dialogue within the Statesman also leaps between disparate themes it is not beneficial to set the essays within a rigid structure as such an arrangement could impose reductive and counterproductive limits on a reader’s understanding. So, although the essays are roughly grouped according to the themes they cover, such rough groupings are necessary as they mirror the content and style of the dialogue in the treatment of these themes. There is a useful index of relevant terms in both Greek and English as well as biographical details of all contributors so the reader may reference the language structure and trace further works. In his brief essay ‘Beginnings’ Sallis contemplates a question concerning the nature of a suitable beginning which, in regard to the Statesman is related to the dramatic order of the dialogues within the trilogy. The Sophist and the Statesman are dramatic sequels to Theatetus and all three involve the same people in the same location with a shared task of defining the sophist, the statesman and the philosopher. As the third work in the trilogy, the Statesman does not begin at the beginning and Sallis claims that a ‘palintropic turn’ is required; ‘a turn back to the beginning anterior to the beginning’ and this is a turn to myth (13). In the dialogue the rigour of mathematics gives way to myth as, when Theodorus responds to Socrates’ remark that he owes him much (in respect to the conversation he (Theodorus) arranged between Theatetus and the Stranger to delimit the sophist) Theodorus replies ‘But soon you will owe me triple this…’ inferring that, once insight into the statesman and the philosopher are gained the debt will increase threefold (257a). Socrates argues that the three figures are not reducible to equal, mathematical units, and, as one may appear in the guise of another they are not strictly distinct but are related in community. Socrates begins by marking out the limits of mathematics and for Sallis ‘The Statesman begins with a return to a beginning anterior to its own beginning’ (14). In ‘Spontaneity to Automaticity: Polar (Opposite) Reversal at Statesman 269c-274d’ Michael Naas focuses on the myth of two ages and the role played by a double sense of αύτόματος as meaning both actively spontaneous and passively automatic. Naas argues that everywhere else in Plato’s dialogues this term is used not to suggest a positive, spontaneous movement, ‘but the lack of any kind of intelligent, guided, or oriented movement’ (4). In relation to the myth of two ages this is significant as, though it is tempting to read the movement of the universe in a positive way ‘as the spontaneous motion of a living being endowed with a capacity for self-movement’ in reality it suggests ‘a lack or deficiency at the heart of the universe’ (5). He uses an interesting (and relevant) analogy to refer to the universe in the age of Zeus as one that is adrift, abandoned, unorientated ‘like a written law without the originary lawmaker’ (5). In ‘Autochthony, Sexual Reproduction, and the Political Life in the Statesman Myth’ Sara Brill highlights the Statesman’s contribution to ontology and the ontological status of human political phenomena. She conducts a careful reading of the myth of two ages comparing the age of Cronos to the age of Zeus in order to present two forms of generation; generation from others and generation from the same (sexual reproduction). Brill argues that the myth marks human sexual reproduction as the advent of political life; a form of self-rule in imitation of the self-rule of the cosmos that requires us to acknowledge that human political life ‘is grounded in the fact that we are born from others like ourselves’ (5). ‘Where Have All the Shepherds Gone? Socratic Withdrawal in Plato’s Statesman’ sees S. Montgomery Ewen take Socratic withdrawal as key to understanding the dialogue. He draws similarities between Socrates’ withdrawal from the conversation and the withdrawal of the god in the myth of two ages to suggest that philosophy itself is presented as a Socratic withdrawal ‘that grants things the space to become what they most properly are’ (5). He claims that, if read alongside the Phaedo, the Statesman ‘is Plato’s attempt to make sense of a world without Socrates, whose death sets us adrift on our own devices, without the care and concern of the most orderly and godlike of philosophers’ (5). Walter Brogan interrogates questions of the relationship to time that the Statesman raises as a condition of forming human community. He considers the care for this community that should be exercised by the statesman as that which should take up an appropriate relationship to time to invest in and preserve unity amongst the people. His essay considers the time of myth (before Cronos), the time of the statesman (the time of Zeus, or due measure) and the time of law (constituted by the founding sovereign to withstand the passing of time and ensure survival). Sallis notes that ‘Brogan shows how absence and withdrawal define and haunt the Platonic conception of time in the Statesman’ (6). Nikolas Pappas focuses on the myth in the Statesman and addresses the question of how the age of Cronos is to be connected to the present age. He notes how the verb διανέμω occurs in reference to both ages but has different meanings; it links governance by the true king in that age, with dialectic by the philosopher in this age. Pappas presents philosophy as resulting from ‘the diffusion of kingship from foreign lands’ and understands the myth as reflecting back on the way that learning from ‘ancient foreigners’ allowed the Greeks to establish philosophy as a private and institutional response to kingship elsewhere (6). In ‘Noesis and Logos in the Eleatic Trilogy, with a Focus on the Visitor’s Jokes at Statesman 266a-d’ Mitchell Miller explores the interplay of intuition and discourse as two distinct methods. He begins with the ‘orienting provocations’ provided by Socrates refutation of knowledge as “true judgement and logos” in the Theatetus, and moves on to the Stranger’s ‘obscure schematization’ of the eidetic field of dialectic to arrive at the discussion at Statesman 227a-278e of the use of paradigms (6). He seeks to show that the Stranger’s odd medley of ‘geometrical and Homeric jokes’ aim to spark an intuition of statesmanship whose ‘self-nourishing’ motivates: the rejection of the initial definition (of statesman as shepherd), a turn to the analogy of the weaver, and the rejection of bifurcation in favour of the non-bifurcatory account of an art ‘that functions as the “limbs” of a well-formed city’ (6). 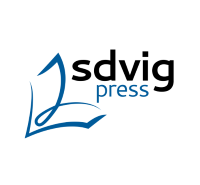 Gunter Figal addresses the way that topic and method intertwine in the Statesman by interrogating the relation between dialectical training and an objective determination of the nature of the statesman. Figal argues that we cannot determine the nature of political knowledge by imposing one single idea on it; the dialectical exercise therefore fails. Eric Sanday analyses the account of paradigm to show that the Stranger provides us with a method of inquiry that draws on and is guided by wisdom. For Sanday the Stranger’s use of paradigm heralds a gap between 1) the parts of a complex, meaningful whole and 2) the ingathering normativity that challenges and exceeds its articulation. We as philosophers must understand the power of paradigm if we hope to unfold ‘new horizons of intelligibility’, only then can we understand the distinction between the paradigm of the shepherd and the paradigm of the weaver to make sense of our search for the statesman. James Risser in ‘The Art of the Example’ interprets the section in the Statesman where the need arises to give an account of the use of an example for determining the statesman. Risser claims that this part of the dialogue indicates how the discovery of the statesman ‘cannot be extricated from the experience of learning that approximates a dialectical art’ (7). For Risser, the key lies in the Greek word παράδειγμα which is used in this context to mean both model and example. Risser also submits that the stated need is to introduce a model for how comparative learning occurs and concludes that this model is operative in every example in order to generate the organic unity of the whole that is sought. Noburu Notomi’s essay addresses the question of the relationship between the statesman, the philosopher and the sophist. Notomi assumes that the trilogy of dialogues pursues a single theme; the nature of the philosopher. This essay addresses the question: What becomes of the philosopher in the Statesman? It draws comparisons with the sophist and the statesman in relation to the distinction between genuine and imitative kinds of knowledge or art. Notomi determines the epistemological position of the philosopher in relation to the other figures, demonstrating that both the sophist and the statesman display the nature of the philosopher in their definitions. In ‘Syngrammatology in Plato’s Statesman’ Robert Metcalf focuses on 293a-299e; the connections between the critique of law and the critique of writing. He shows that what is at issue is not just any kind of writing, but syngrammatic writing which aims to eliminate ambiguity and is a structural feature of the ‘hypergraphic polis’. This raises the question about whether law can be thought on the model of non-syngrammatic forms of writing e.g. soul writing which is hypothesised by Socrates in the Phaedrus. In ‘Stranger than the Stranger: Axiothea’ Drew Highland imagines a subsequent dialogue between Thaetetus, young Socrates and Axiothea (the purported female member of the academy). The objective is to raise the question for the two youngsters, of the limits as well as the virtues of each understanding of philosophy by comparing the dialectic method of the Stranger with Socrates interrogative method. Highland argues, it is an open question whether Plato intends us to leave behind the Socratic method in favour of the Stranger’s Eleatic formalism. Robert Bartlett’s essay considers the Stranger’s presentation of law as relevant not only to political life, but extending far beyond it. The Stranger proves quite critical of law in general and of divine law in particular; he praises the statesman as one who possesses the knowledge needed to be self-ordering in a way that those who profess to receive their law from the gods are not. This essay presents the anti-theological character of the Stranger’s account of law as an important feature of his political science. Ryan Drake considers the fate of sophistic persuasion in the Stranger’s elucidation of the best possible regime under law; the legitimacy of this practice has been thrown into question by Socrates throughout the dialogues. Drake notes that, the Stranger remarks that the statesman in a lawful regime will need orators able to engage in ‘mythopoetic persuasion’ rather than teaching as a means of preserving civic order (9). These rhetorical tactics involve a ψυχαγωγία; a ‘leading of souls’ which is distinct from ‘the philosophical ‘directing of souls’ through dialectic’ and these methods are set in opposition. Drake observes that, for the Stranger the rhetoric of sophistry is necessary to the regime of law (but recognises that it is anti-philosophical in nature). Burt C. Hopkins essay seeks to answer the question of whether Plato’s portrayal of multiple philosophers in the trilogy seeks to show that philosophy itself is something that is multiple (bigger than one man). For Hopkins, Socrates and the Stranger share a vision (of the difference between the whole and all the parts) and this guides their method of “looking into things by dividing them according to forms” (285A). He argues that they possess a common vision of άρχή beyond being and therefore the philosophy of the two labours is one. Gary M. Gurtler explores how Plotinus uses texts from the Statesman for different purposes; some pedagogical in nature. 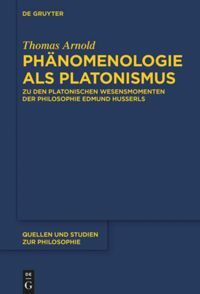 Gurtler argues that Plotinus’ interpretations and reference to examples intended to clarify reveal ‘different assumptions about the unity of Platonic philosophy and the possibility of its retrieval in a thinker like Plotinus’(9). In summary, the essays within this collection make a valuable contribution to the clarification of the role and practice of the philosopher through comparison with key figures, e.g. the sophist and the statesman. The collection will be of interest to those who wish to further pursue key themes in respect to philosophical methodology such as: the limitation of mathematics, the importance of the good in politics, ontology, dialectic and the power of myth in the works of Plato. It will also be of use to those interested to explore how historical and philosophical events unfolded in the lead up to the trial and execution of Socrates and how this symbolic event is reflected and responded to through the work of Plato. Where does philosophy begin? Often, in the West, Thales of Miletus is considered father of philosophy. Yet, if one looks Eastward towards India and China, or South towards Egypt, there are surely philosophical origins long before Thales existed. Still, in the West the presocratics are where we look to uncover the beginning of philosophical thought. While many texts have been written addressing and interpreting the presocrates and their thought, Hans-Georg Gadamer’s The Beginning of Philosophy is not one of these – at least not in the typical sense. Gadamer’s book, based on the lectures he gave in 1988 at the Naples Institute for the Study of Philosophy in Italy, does not strictly seek to explore presocratic philosophy in its own regard, but rather hopes to address the hidden origins of philosophy. Gadamer, a renowned philosophy of the 20th Century, with these lectures, introduces a new approach to ancient philosophy. Much of the current literature on presocratic philosophy focuses strictly on the ideas generated and discussed in relation to their influence on the future development of philosophy. 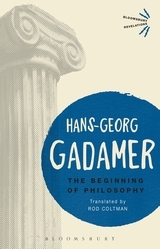 While Gadamer does not fall far from this in his lectures, the book’s beginning two chapters “The Meaning of Beginning” and “Hermeneutic Access to Beginning” pave the way for a unique approach to thinking about presocratic philosophy. 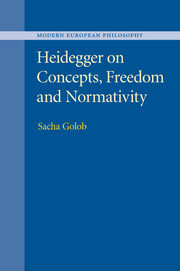 For this review, I will focus on this new approach Gadamer suggests and then briefly discuss how this new approach to presocratic thought lends itself to a more complete system of thought, rather than a series of seemingly sporadic fragments. When we ask ourselves “where does philosophy begin?,” it is often question answered by reference to a time, place, or individual. Interest in actual interpretation of presocratic philosophy was never really a task set forth by intellectuals until the nineteenth century romantics in Germany, with Hegel and Schleiermacher (10). Still, none questioned the very origins of presocratic thought. Why did it develop the way it did? Was it mere curiosity? Was it the myths that sparked interest in things unseen? Gadamer, thinks that there is a secret origin to which “beginning” refers. 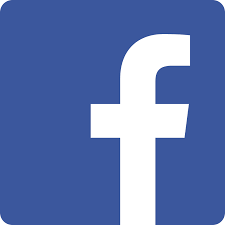 He writes that “there is yet another, far more obscure precursor – something that lies prior to all rich in tradition, prior to medical literature as well as presocratics, namely, the language spoken by the Greeks” (13). The Greek language is well-formed to investigate philosophical questions. Gadamer notes two aspects of the Greek language which make it most suitable for philosophic inquiry as being, in the first place, the use of the neuter, and in the second, the existence of the copula (14). Regarding the former, he writes that “It has to do not with the quality of a being, but the quality of a whole space, “being,” in which all beings appear” (14). This poses Greek as a language not only capable of abstraction, but rooted in an abstraction. The copula, which relates to the actual sentence structure in Greek, refers to the “use of the verb ‘to be’ to link the subject and the predicate” (14). Together, these two important distinguishing characteristics of the language used by the presocratics, positioned them to be able to immerse themselves into what would become philosophy. The second sense of “beginning” is reflective, in that it already presupposes an end. “The anticipation of an end is a prerequisite for a concrete beginning” Gadamer suggests (15). In other words, beginnings always have an end or goal towards which they progress. There is, then, a teleology at work in the development of history, particularly in the history of philosophy. However, this development, already contains its end within its beginning and as such, nothing given to it along its progression is innovative or unexpected. So long as “nothing new, no innovation, and nothing unforeseen is present, there is also no history to relate” and so thus the “primordial opposition between nature and spirit” enters into philosophical discourse (16). Gadamer here offers a final consideration of the meaning of “beginning,” which is most suitable for discussing the presocratics and their role in the history of philosophy. This is “beginning” as incipience, rather than the incipient entity. This allows that “many eventualities – within reason, of course – are still possible (17). More so, it escapes a predetermined or a presupposed path – it signifies an element of “uncertainty”. Gadamer thinks this is true of presocratic thought, in which there is “a seeking without knowledge of the ultimate destiny” that their seeking will have or at which it may conclude. After setting up the three meanings of beginning as his premises, Gadamer shifts to focusing on the history of philosophy from a hermeneutic standpoint. This is what he calls ‘effective history’ and approaches the issue of scholarship through problemgeschichte, or, “problem history.” “In this sense,” writes Gadamer, “a problem is something that impedes the progress of knowledge” (25). Thus, in different fields and disciplines, the problemgeschichte is different. In more scientific fields we must continuously seek additional confirmation, never feeling fully satisfied by the current theory. Likewise, in most fields, if we disprove a theory, it is of little to no more use. Philosophy, unlike other disciplines, does not disregard the problem simply because any possible solution has also been eliminated. It is, then “not correct to say that if a problem admits of no falsification then it presents no question to the thinker” (26). We must therefore approach the presocratics differently than has been previously attempted. Rather than interpreting the texts out of our own vantage point, that is, via reflection, we should instead let the text itself provided us with an interpretation. 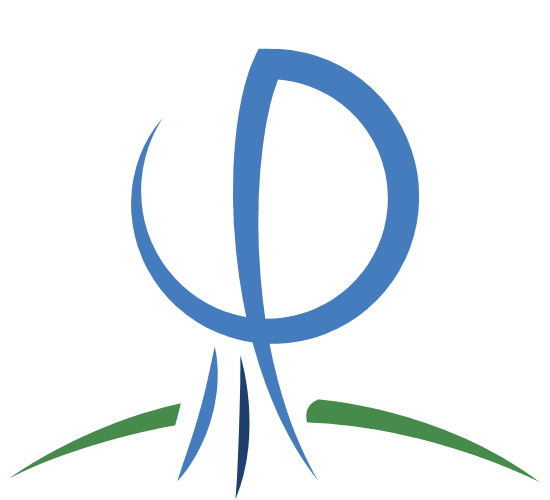 This means simply that “it is not correct to assert that the study of a text or tradition is completely dependent upon our own decision making” (28). As Gadamer continues on with his lectures on the presocratics, he uses this approach so as to only use what the text itself allows for, without filling in gaps with speculation and reasoned interpretation. Only what the texts suggest does he consider to be a valid method of understanding the presocratic philosophers and their views. In doing so, he offers a unique approach to the contemplation of the very origin of philosophic thought. Overall, this work provides an attempt to reconsider the presocratics in a way not typically found. The approach offered by Gadamer is one which enables the reader to reconnect with the texts themselves rather than resting only upon various interpretations. While this gives one a different method with which they can approach the presocratic texts and philosophies, it does not actually result in a new way of perceiving the presocratics. No real new insight is offered into the presocratics and their views, other than some details which have perhaps at times been overlooked due to the current “survey” methods used. Due to its depth, I would not recommend this book to anyone altogether unfamiliar with ancient Greek thought as much of the value of the book would be lost in such a case. However, this text is valuable, especially for those who study philosophy and ancient philosophy in particular. It carries with it not only the new approach offered throughout, but also a new appreciation for the presocratics which are so often overlooked or by-passed. The textual history of The Beginning of Philosophy is long and convoluted. Its origins are in Gadamer’s final lecture course as Professor Emeritus at Heidelberg delivered shortly before his retirement at the end of 1967. 20 years later, Gadamer delivered a series of Italian lectures on the same topic without a script. These were recorded and transcribed by Vittorio DeCesare. Reclam published a German translation by Joachim Schulte (Der Anfang der Philosophie (1988)). The present volume is based on Gadamer’s own ‘definitive revision’ of Schulte’s translation (ix). It is perhaps appropriate that there should be such ambiguity about whether, and in what way, we can reasonably hope to have the authoritative version of this text. For rendering such questions explicit was Gadamer’s life’s work. This ‘something different’ is a way of thinking that, rather than trying to eliminate the prejudices that are integral to all understanding, acknowledges them and works within their constraints. For, as Gadamer defines them, our prejudices are simply our rootedness in a tradition (38). Gadamer’s insistence on Plato and Aristotle as our sole hermeneutic access to the Presocratics is motivated by his recognition of the inadequacy of the concept of method ‘in the sense of guaranteeing objectivity’. For when they spoke of their predecessors, ‘Plato and Aristotle did not have our historical scholarship in mind but were guided by their own interests, by their own search for truth’ (22). Therefore, the sense of ‘beginning’ that Gadamer has in mind is ‘that of the beginning that does not know in advance in what way it will proceed’ (12). True research is not about finding answers as much as it is about discovering new questions and imagining fruitful new ways of posing them (17). Thus Gadamer embarks on his discussions of the Presocratic conception of the soul and its relationships to life and death. His distinctive philosophical approach to these discussions, however, draws attention to his key point. Every text has at least two contexts: that in which it was created and that in which it is read. It follows from the fact that it is impossible, in a given case, to know whether these contexts align that, ‘torn out of its context,’ a quotation can be used for any purpose whatsoever. ‘Whoever quotes,’ Gadamer says, ‘already interprets by means of the form in which he or she presents the text of the quotation.’ (13) Witness the quite different purposes for which the Presocratics were quoted by the Stoics, Sceptics, and patristic writers. While there are significant difficulties involved in using the texts of Plato and Aristotle (which were not written for this purpose) to find out about this other tradition, Gadamer believes that Plato’s transparent use of that tradition to depict ‘his own turn toward the Idea’ (31) permits him to ‘guess at certain tendencies of the culture of this bygone era’ (30) in a way denied to the compilers of compendia of Presocratic quotations. With regard to the first context, that in which the ancient Greek texts were created, Gadamer displays an erudition that is rare today. But it is their second context, that of contemporary philosophy, that impresses this reader with greater urgency. Through his engagement with Greek culture, Gadamer hopes to realize his ideal of philosophical research as ‘a movement that is open at first and not yet fixed but which concretizes itself into a particular orientation with ever-increasing determinateness’. What this engagement shows is that the supposed freedom of modern science to stand at a distance from the object being investigated simply does not exist. ‘We all stand in the life-stream of tradition’, Gadamer writes, ‘and do not have the sovereign distance that the natural sciences maintain in order to conduct experiments and to construct theories.’ (19) Rather than a philosophically problematic relation between subject and object, which is simply presupposed by the empirical method, Gadamer stresses ‘participation’, ‘like the believer who is faced with a religious message’ (22). While this may read like a challenge to the natural sciences’ ideal of objectivity, which they threaten to extend even to the human subject, Gadamer reassures us that the human sciences are properly occupied with quite different tasks (21). Such thoughts emerging from Gadamer’s reading of the Presocratics via Plato and Aristotle, will be familiar to the readers of phenomenologists like Karl Jaspers, who explicitly described the nature of the subject–object split [Subjekt–Objekt Spaltung] in similar terms. Subject and object are not to be reified, considered as entities or substances, each of which could possibility exist without the other. A Spaltung, usually translated as ‘split’ or ‘cleavage’, is not a dichotomy. It is a distinction between aspects of reality that are, at the most primordial level, unified. In form as well as content, then, The Beginning of Philosophy leads us to the perhaps unexpected conclusion that it is the phenomenological method, for Gadamer represented by Husserl and Heidegger, that has ‘pointed the way for contemporary philosophy’ (60).